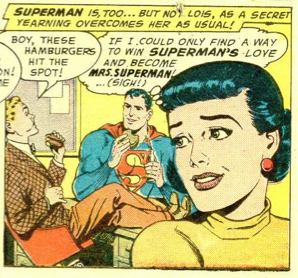 Ole Supes is pretty tactful talking about old age serums around his girlfriend. Also, it looks like Superman is jumping out of her compact. Weird! 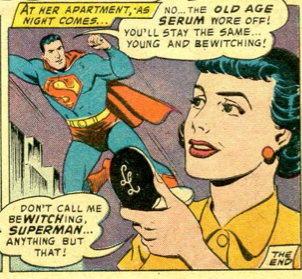 From Lois Lane #1 1958, "The Witch of Metropolis"
Man, how many Super teenagers were running around in the 50's? 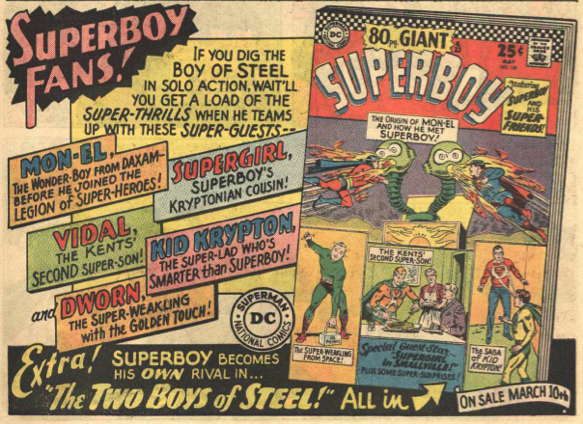 If you didn't have a super kid in your neighborhood you were a LOSER!!!! 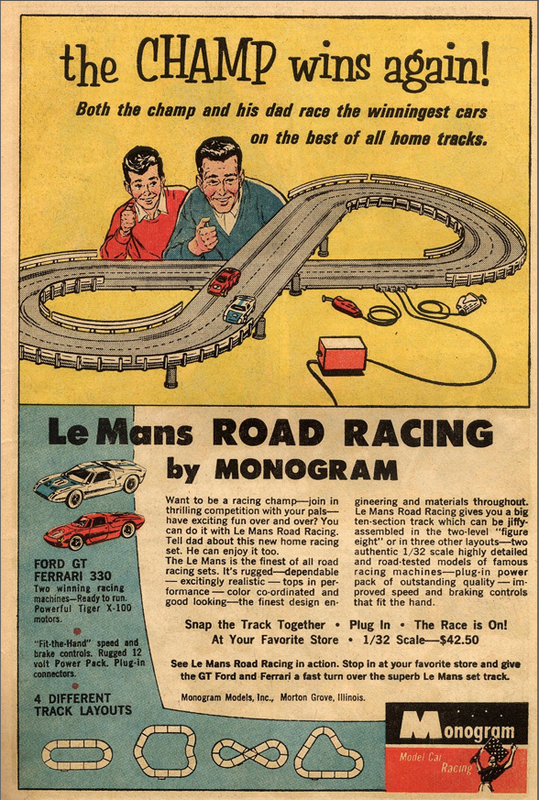 ... to let you know that 'pickers' will eventually turn into 'hoarders'. I really loved the old Lois Lane books, not as much as those wild and crazy Jimmy Olsen books, but they were some of the best books around. One thing I enjoyed, besides how gorgeous and expressive Kurt Schaffenberger drew Lois, was the way in every story, almost always at the end, Lois would loom large in the foreground while we got to see some other action off in the background. It was great, expressive Lois emoting right in our face, her friends waaaay off in the distance, oblivious to the poor girls suffering/emoting/loving. 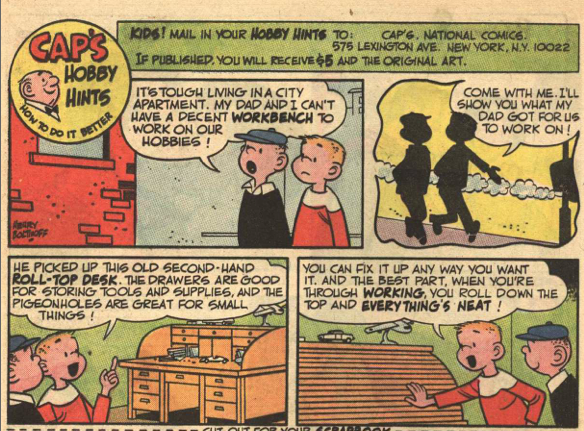 From Lois Lane #1 1958, "Lois Lane, Super-Chef"
Is it just me or does it look like Superman is just a torso cut in half and plopped onto the desk?